Even the rooms – located on the first and second floors – are reminiscent of a yacht: 16 Junior Suites measuring 50 m2 and 2 Suites measuring 105 m2, feel like luxury cabins, each with its private balcony. The cocoon effect is guaranteed by the warmth of the naval teak finishes and the enveloping luxury of the rooms. In every room the sensorial experience is multiplied, thanks to the personalization of the hotel’s services. One can choose a doTERRA room fragrance, pick from a selection of amenities that include Argan, Ortigia and Trussardi, select the most suitable type of pillow for the night from a menu of 15 varieties, such as a refreshing lavender-scented pillow or a relaxing chamomile scented one and even combine these with a classic memory or thermo-regulating pillow. Finally select cotton, silk or linen bed sheets. Request an exclusive room set up with fresh floral arrangements and magical experiences, like the special Romantic Set up with oysters and champagne and rose petals in the bathtub. Every detail is taken care of to make each stay perfect, from the choice of breakfast, to the room temperature which can be adjusted on an Ipad. 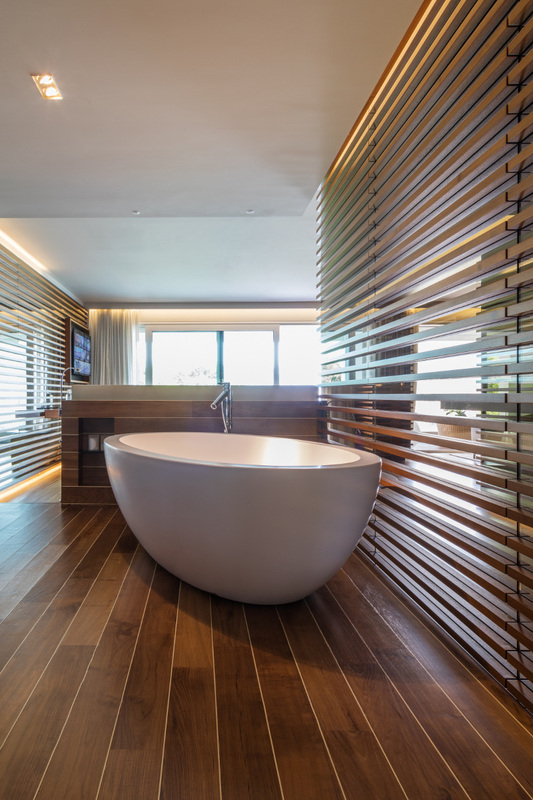 All THE VIEW Lugano Suites are digitally controlled. To ensure a totally personalized sleep experience our guests can choose from a fine selection of pillows and pillow covers. This thermoregulatory pillow is covered in a 3D fabric which maintains an optimal flow of air and eliminates excessive humidity and heat. This feature further enhances the benefits of the proactive temperature regulation of Outlast® technology, originally developed for NASA, which uses phase change materials that absorb, store and release heat for optimal thermoregulation. Soft and comfortable, the classic memory pillow perfectly adapts to your contour. It is ideal for relieving tension and improving posture. Soft and comfortable, the classic memory pillow perfectly adapts to your neck’s contour. It is perfect for relieving tensions and improving posture. Covered with percale, this pillow has an hypoallergenic polyester filling and is divided into three sections: a more rigid section to support the cervical area, a softer section and full support. This pillow offers a support and moulds to fit your movements during the night, allowing constant support for your body and neck. It is covered with superior satin cotton and is filled with hypoallergenic polyester fiber. Lavender – Refreshes, calms and has anti-inflammatory and anti-bacterial effects. Eucalyptus – Antiseptic, lenitive, refreshing, antibacterial and anti-inflammatory. Serenight – 100% natural essential oils of orange flower, chamomile and passion flower for a restorative and relaxing sleep. Seacell memory contoured – The wellness fiber with the power of the sea. This pillow breathes, is fresh and cares for the skin. Seacell memory classic – The wellness fiber with the power of the sea. This pillow breathes, is fresh and cares for the skin. Gives a sensation of purity, sweetness and natural freshness. Bamboo memory contoured – With its antibacterial effect this is the perfect pillow for a revitalizing sleep. It breathes, is fresh, soft and shiny. Bamboo memory classic – with antibacterial effects, the perfect pillow for a revitalizing sleep. It breathes, is fresh, soft and shiny. Technology plays an important role at THE VIEW Lugano. All our rooms are equipped with a 46-inch ultra-thin LCD screen TV, with channels from all around the world, an I-pad, and a multi-line phone with voice mail. On request our guests can have the use of an I-Pod, DVD player, a CD player or a Blue-Ray player. The whole hotel is equipped with complementary wireless internet, enabling fast internet browsing. Housekeeping services are available all day. Turndown service is also provided in the evening. Our multilingual staff is always available to ensure our guests’ comfort and happiness and the reception is open 24 hours a day. 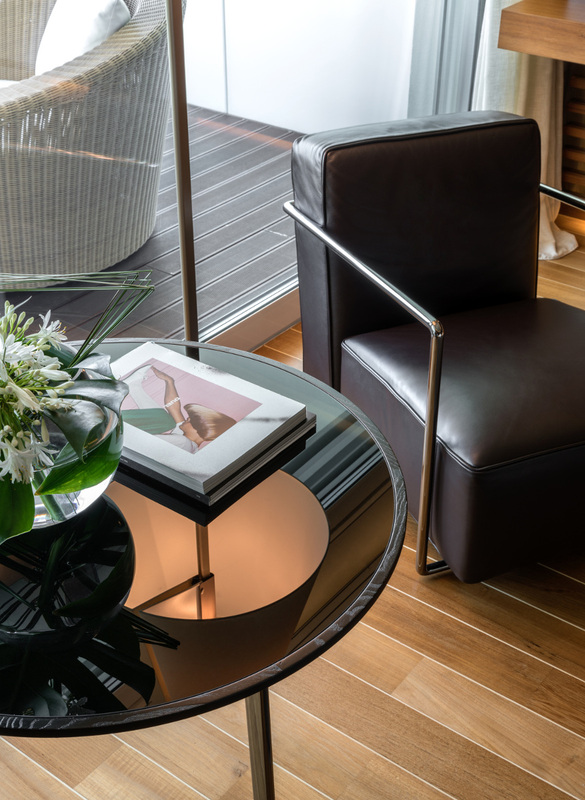 The Ambassadors of THE VIEW Lugano are at your disposal to make your stay even more comfortable. Some of the extra services that can be requested are: bath preparation with oils and salts of your choice, in-home check-in and check-out, wake up calls and delivery of international newspapers to your room. Communicating rooms are also available. Parking is included in the rate. Discover all the services. 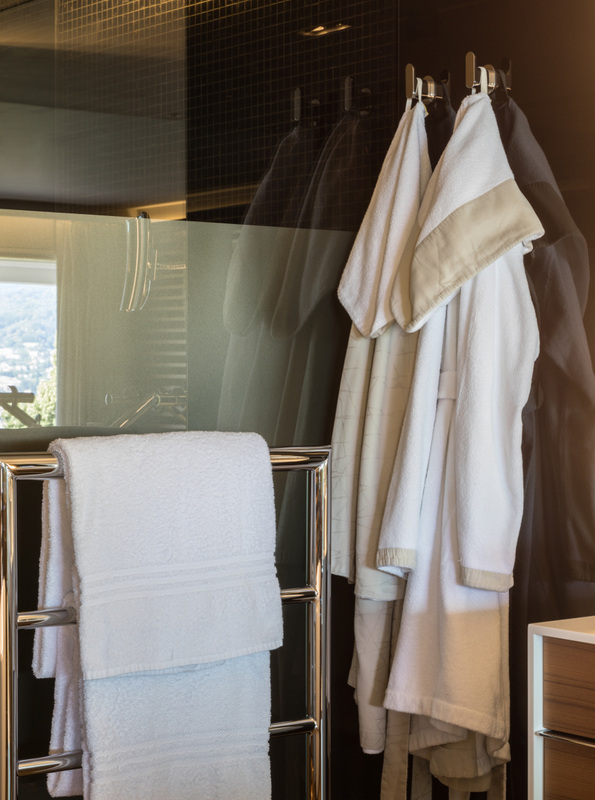 At THE VIEW Lugano everything can be personalized and our Guests can choose their preferences before arrival on My Page.